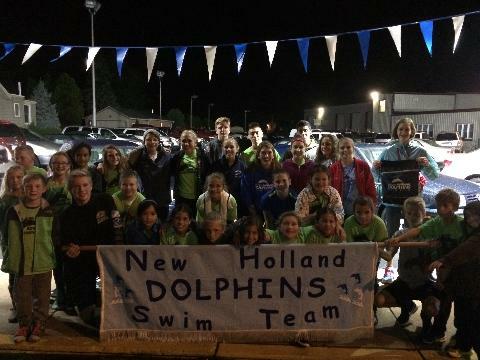 The New Holland Dolphins participates in the Lancaster Summer Swim League as a Division I team. We welcome swimmers ages 4 - 18 to compete, receive training and stroke refinement. Practices occur daily with meets on Tuesday and Thursday evenings and some optional invitational meets on Saturdays. The program runs the end of May through the end of July.